Thistle Community Housing and Flatirons Habitat for Humanity (FHFH) have accomplished the challenge of building homes that are both affordable and green. In doing so, Thistle and FHFH were able to shatter the stereotype that building green is elite and expensive, and the community has noticed. The ground-breaking this Fall of FHFH’s development in Boulder, Colorado comes on the heels of the ribbon-cutting by Thistle in Longmont, Colorado. The end result is that green, affordable homes have become a reality for a number of Colorado residents whose income is typically below sixty percent of the median household income. 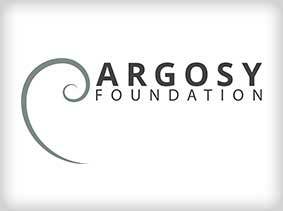 In December of 2006, after completion of a research report on green buildings and affordable housing in Colorado, the Argosy Foundation made the decision to provide support for Thistle Community Housing and Flatirons Habitat for Humanity. Thistle is a nonprofit organization committed to helping working families, seniors, and people with disabilities find housing they can afford in the high land cost area of Boulder and Adams Counties. Using its community Land Trust program, Thistle provides homes that are both economically and environmentally sustainable. With Argosy’s support, Thistle was able to begin construction of 100 permanently-affordable homes in January 2007. Thistle’s 198-home, mixed income community at Blue Vista is being built with a strong focus on environmental sustainability, surpassing Built-Green and Energy-Star standards. For example, advanced framing techniques allow for a reduced lumber package, while creating a durable structure and sturdy walls packed with high-density insulation. Blue Vista homes are also equipped with Energy Star appliances to ensure residents are not only saving money on their utility bills, but also saving natural resources.